(TibetanReview.net, Dec 22, 2014) – Tibet’s exiled spiritual leader, the Dalai Lama on Dec 21 advocated the introduction of secular ethics in education while inaugurating a conference on ‘Ethics in a New Millennium; Buddhist Perspectives’ at Tumkur University, which is located in Tumkur, near Bengaluru, in Karnataka state of India. The conference was part of an ongoing collaboration between the university and the Sera Jey Monastic University, also located in Karnataka. The moderator of the conference explained to the gathering, which included state government ministers TB Jayachandra (Law) and H Anjaneya (Social Welfare), that the two universities had already conducted several events with each other, focusing on Prakrit, Pali and Buddhist studies, and that the current conference was a part of it. 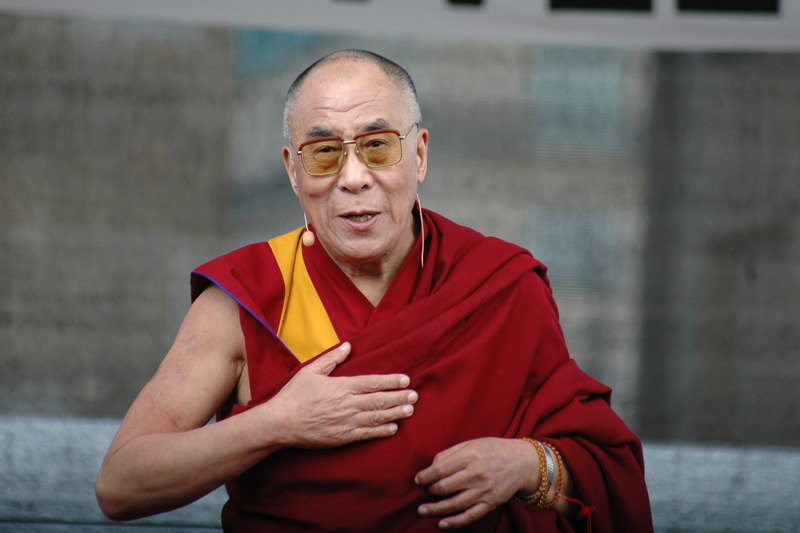 The Dalai Lama explained that while material development is a source of physical comfort, it can also provoke greed, jealousy, competition and stress and can be a source of violence too. What is really needed, therefore, is to educate people about inner values. Asked about the Buddhist position on the issue of religious conversion, the Dalai Lama replied that since the Vinaya, the Buddhist canon, is quite clear that a teacher should not teach unless asked to do so, there is no question of asking people to change their faith. The Dalai Lama had earlier visited Tumkur University in 2012 when he was invited to inaugurate an International Conference on Yoga in Education. The university had also honoured him with an ‘Honorary Distinguished Professorship’ in recognition of his service to humanity. From Tumkur the Dalai Lama headed for the Mundgod Tibetan Settlement where he will resume his teaching of the text of the Stages of the Path to Enlightenment at Gaden Jangtse Monastery beginning Dec 23.